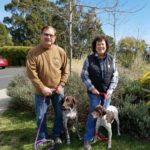 Legend (now Tinker) is adopted! 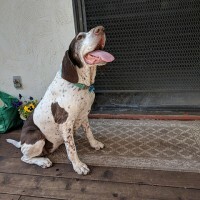 Legend decided to leave home when she was about six years old. 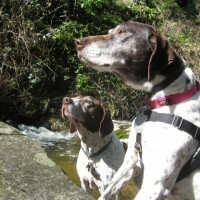 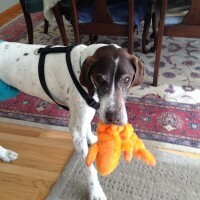 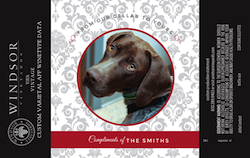 She showed up at a shelter as a stray, a mere 38-pound wisp of a GSP. 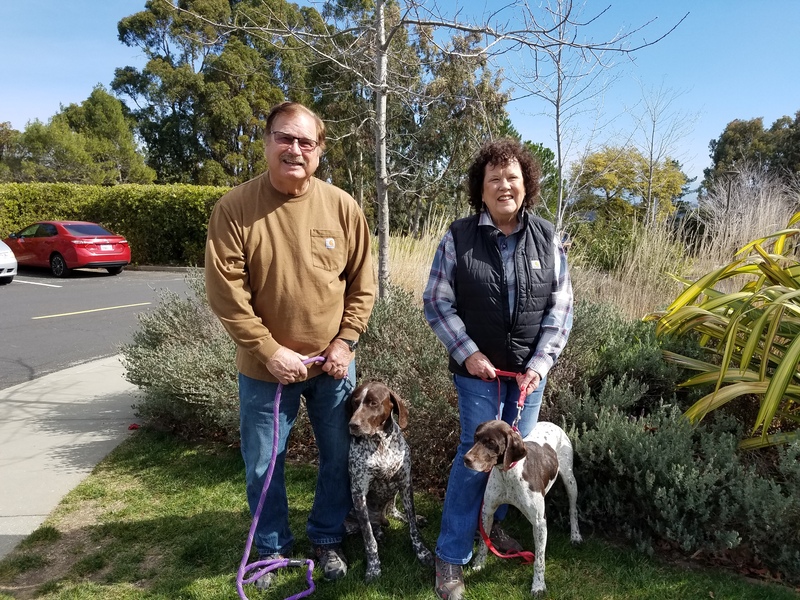 Her foster homes (thank you Jan & Barbara) found her to be a perfect Pocket Pointer—a bundle of energy who liked every single dog and person she met. 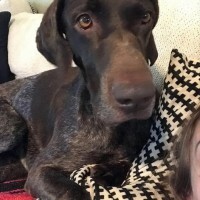 She’d fall asleep with her head in your lap after the excitement subsided, but she could also surprise you by appearing magically in your bed, or on top of a coffee table to get a better view of her world. 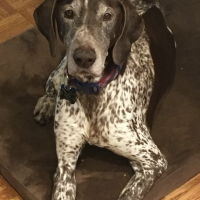 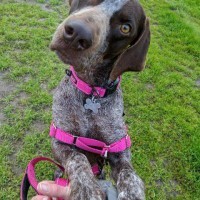 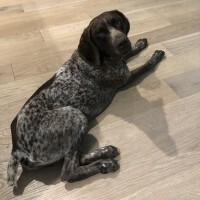 She’s been adopted by a GSP-savvy couple who offer her a big ranch to roam and a GSP brother (a GSP Rescue dog from SoCal) as a constant companion.